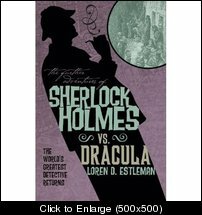 Loren Estleman - Sherlock Holmes vs. Dracula | Vault Of Evil: Brit Horror Pulp Plus! A mysterious schooner runs aground in an English harbor Its cargo, fifty boxes of earth; its only living passenger, a black dog. The captain's lifeless body is lashed to the wheel—completely drained of blood. 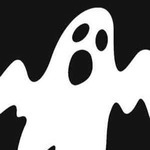 Soon, a rash of bizarre nocturnal crimes terrifies London. Plainly, this is the work of Count Dracula - and a case for Sherlock Holmes. Lovers of the Holmes stories will find their hero in a new role here, as the avenger in a realm where pale corpses rise from their graves and go forth by night to feast on blood. The way of it was this. Holmes and Watson - with some very token assistance from a certain Mr. Abraham Stoker - were responsible for ending the King Vampire's reign of terror in England, but that malodorous deranged glory seeker Van Helsing wanted all the credit! The Dutch ego-maniac leaned on Stoker throughout the writing of Dracula to up his role at the expense of Baker Streets finest who were entirely written out! For shame! Fortunately, Watson wrote up the investigation in manuscript as The Case Of The Sanguinary Count, and it remained unpublished until Estleman found it stuffed down the side of a box-load of rubbish he'd purchased at auction. So now we finally get to know the truth! While there has yet to be a Sherlock Holmes/Dracula novel even remotely frightening, Loren D. Estleman's Sherlock Holmes Vs Dracula is worth reading. On 11 September 2012, Titan Books reprinted it in its Further Adventures of Sherlock Holmes series. Although not particularly scary it is a good romp which is at times absurd. The radio adaptation is fun if a little silly in places. In some respects it is better than the book. For instance the few Americanisms have gone. It is a pity that the film version (announced around 1993), with Timothy Dalton as Holmes, was never produced. I thought the book was okay and quite fun, but the americanisms were a bit distracting. It got the seal of approval from Mrs. Ripper, which is saying something as she is no fan of horror. I hadn't heard of a proposed film version back in 1993--a shame it didn't come to pass. The book and radio version were faithful to Conan Doyle's Sherlock Holmes and Stoker's Dracula. Any such film now would inevitably be a steampunk action film full of CGI effects. I think I caught the radio version when it was repeated on one of the BBC radio stations and I agree that it and the book are faithful to Conan Doyle. I don't mind fantastical elements such as vampires, zombies etc featuring in Sherlock Holmes pastiches as long as SH and JW react to them in a manner consistent with Conan Doyle's characterisation. As for the film version, yes, produced today it would have to be crammed with CGI and have enough action to fill a Rambo movie. This is one of Sidney Paget's original illustrations for "The Adventure of the Norwood Builder". 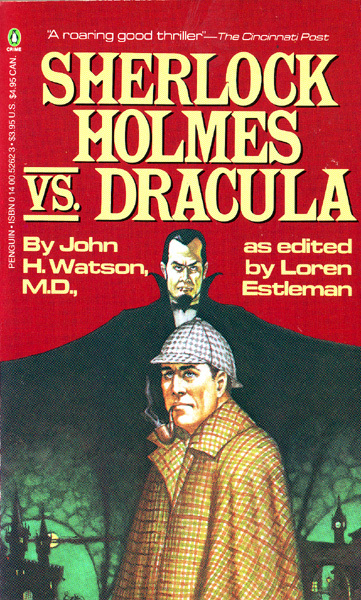 Here is the homage to Paget on the American and British hardcover edition of Sherlock Holmes Vs Dracula. 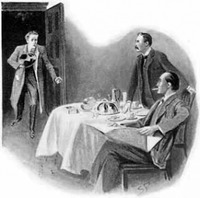 Note that Holmes has lost his cigarette. Here is the horrible cover to the Penguin paperback of Sherlock Holmes Vs Dracula. They should have used the hardcover version. 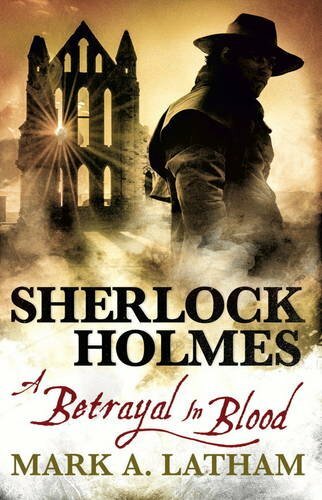 From Amazon's blurb for Mark A. Latham's Sherlock Holmes - A Betrayal in Blood (Titan Books, 2017): "It is 1894, and the news of a Transylvanian nobleman's death at the hands of a certain Professor Van Helsing is the talk of London. Unsatisfied at the acquittal of the professor, Mycroft Holmes asks Sherlock to investigate what truly led to the deaths of Lucy Westenra and the mysterious aristocrat. The newspapers are full of inconsistencies and wild supernatural theories, and as Holmes digs deeper, he suspects that those hailed as heroes are not what they seem. The clues point to an innocent man framed and murdered for crimes he did not commit, and Holmes and Watson find themselves targeted at every turn, as what began as a quest to clear one man's name reveals a conspiracy that draws them to the mountains of Transylvania and the infamous Castle Dracula." Its pointless "rationalization" of Dracula's doings in Bram Stoker's original novel is ridiculous beyond any common sense. In this instance, the supernatural solution is more plausible. Avoid!